What If I Don’t Want to Use WordPress for My Course or Membership Site? If you’ve been reading this blog for a while, it probably goes without saying that we’re big proponents of using WordPress for your membership site, and it’s definitely the option that we think gives you the most flexibility (without hiring a boffin to code something from scratch!). 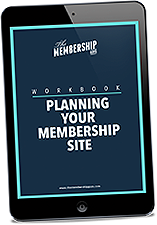 But, that said, WordPress is not the only option out there if you want to create a membership or course site, and sometimes it might be that an alternative solution is more suited to your needs. If that’s the case, then this post is for you! Why wouldn’t you use WordPress? It may be that you don’t have the tech skills needed to create your membership on WordPress, but that you also don’t want to pay someone else to create the site for you. Or maybe you do have the tech skills, but you don’t feel it’s the best use of your time to be fiddling with software. If that’s the case then you may be looking for an easier alternative – something that you can just plug your content into and go rather than worrying about plugins and themes and getting everything setup correctly. As well as ease of setup, not using WordPress also reduces the amount of ongoing work that needs to be done – no more plugin updates, WordPress updates (and holding your breath as that update wheel spins, fingers crossed that nothing goes wrong!) or regular ongoing maintenance needed. You may also be concerned about ease of use for your members as well. And whilst I believe you can create great member experiences and useability with WordPress, sometimes you just want a ready created system so that you can be sure of how your members will experience your site. WordPress is a pretty flexible platform so it’s not often that you’ll find you need a feature that isn’t available or possible. But there are some circumstances where WordPress just isn’t the best option for the features that you want. For example if you’re creating a community membership and need a forum, then yes, you could use a WordPress based forum plugin like bbPress, but you’ll get much better features using specialist software such as IP.Board (IPS Community Suite) or Xenforo. Are there downsides to not using WordPress? The main benefit to not using WordPress for your membership site (depending on what platform you decide to choose instead) is that you don’t need to become bogged down in technical details like what plugins and theme to use. Whilst this is a big benefit of choosing a non-WP platform, the downside to this is usually a lack of flexibility and customisability. You won’t typically be able to get the same all singing and all dancing site that you can with WordPress with any other platform, unless you pay a developer to create a custom site for you. So, it’s worth considering whether the benefits of not using WordPress – ease of setup and use in particular – outweigh the need for any advanced customisation. If you just want a simple course site then this isn’t likely to be an issue, but for more complex sites it’s a big trade-off and should be considered carefully. What are the alternatives to WordPress? Well, you could use another web system like Drupal or Joomla, but you’d likely need to have someone else build and maintain the site for you. The same goes for having a site custom developed from scratch. I’m going to presume you’re not wanting to take that approach. There are of course other web building platforms like Wix, Weebly and SquareSpace as well, which you can use to easily create your website. Unfortunately none of these have a good option for creating a membership site, so they’re not recommended for this kind of site at all. If you want a community based site then a forum software like IP.Board (also known as IPS Community Suite) or Xenforo might suit your needs, and several well known memberships such as superfastbusiness.com and screwu.co are built on these platforms. For other types of membership site, and particularly course based memberships, then the main choice other than WordPress is to use hosted platforms. A hosted platform (sometimes called a “cloud” platform) is where you essentially add your content to someone else’s pre-built system. You can customise it to a certain extent, you can use your own domain name and you still hold the copyright for your content, but you don’t have full (or – in most cases – any) control of the platform itself and you can’t do things like add additional features that you might need. You’re pretty much tied to only being able to use what the platform offers, and if you decided to move your content elsewhere you would need to start from scratch effectively. Whilst each platform will offer a different feature set and suit different types of site, where they generally all excel is in providing an easy to use system where you can quickly and easily upload your content. You could sign up for your account this morning and be selling your course or membership by this afternoon. The majority of hosted platforms are designed more specifically for course sites, so if you’re looking for a more traditional membership site your options are a bit narrower. Of those mentioned above, New Kajabi is probably the most comprehensive system allowing you to sell everything from digital downloads to a full membership, but for a course based site my personal choice would be Thinkific or Teachable. Can I switch to WordPress later? Quite frequently people may start their membership on a hosted platform and then decide later that they need a more flexible setup and decide to move to WordPress. There’s absolutely nothing wrong with that approach, and, if you’re creating a mini course as an MVP (minimum viable product) to test your membership idea, then I’ll often actually recommend using a platform like Teachable to get started so that you’re not investing a lot of time or money before you know if there’s a demand for your membership. However, if you know that you’re going to want your membership site to be on WordPress eventually, or that in 6 months time you’re going to want features that aren’t possible with the platform you’re thinking of using, then I’d be inclined to suggest using WordPress from the start. It will take longer initially but save you a lot of time (and hassle) in the long run. The last point is the one that will usually cause the most issues, so if you’re running a one-off fee course you shouldn’t find moving to WordPress too difficult. 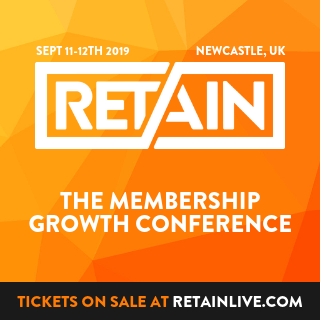 If you have existing recurring payments set up though, you’re going to need to figure out whether those can be transferred or whether you’ll need to ask people to sign-up again (and risk losing a chunk of your membership). So, you know you want to use a hosted platform for your course or membership. But which one should you actually use? Is my membership purely going to be offering a course or courses? Do I need any additional features such as a forum or quizzes? Do I want to pay a monthly fee or a per transaction fee? Do I want to be able to customise the look of my site beyond changing the logo and colour scheme? What payment processor do I need the platform to integrate with? What email service do I need the platform to integrate with? Do I need the ability to offer discounts and coupons? Do I also want my platform to allow me to create landing pages and marketing pages? Am I likely to need any additional features in the future? Answering these questions will enable you to then look at any platform you’re thinking of using with a more considered view. It’s also a good idea to take a look at other sites that are using any platform that you’re considering and seeing if you like the way they look and function. We’ve also created a comparison chart of the most popular hosted course platforms that you might want to consider for your membership site, so you can see what features each has quickly and easily. Have you decided against using WordPress for your membership site? I’d love to hear what you’ve decided to use instead and how you’re finding it – let me know in the Facebook group! 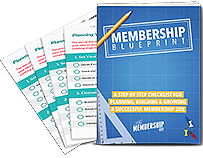 Pin down your idea and flesh out all the details of your membership site, including the content you'll offer and the features you'll need, with our free planning workbook.